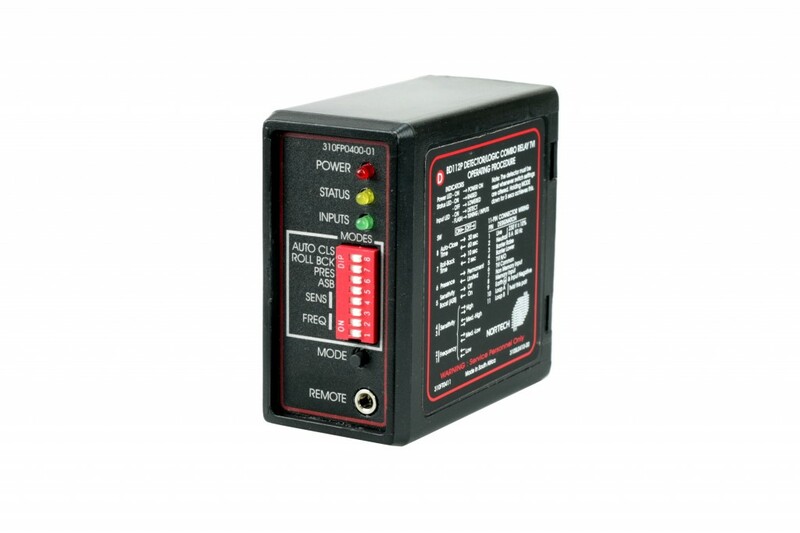 The Nortech BD112 is a combination single-channel vehicle detector and boom gate controller logic unit. Inputs can be accepted from access readers and outputs are provided for the boom gate control and ticket issue interlock. The integral vehicle detector provides the safety/closing detection and also incorporates roll-back protection. The BD112 features include a memory function that allows following authorised vehicles to exit without raising and lowering for each vehicle. Roll-back Time: 2 secs. or 10 secs. Auto-Close: 30 secs. or 1 minute. Minimum of 2 Seconds between inputs on Memory input.